In a Nutshell: If you’re one of the millions of Americans who has money saved in a pension or 401(k) retirement plan, you may not know the work taking place every day to keep your funds properly invested and growing. 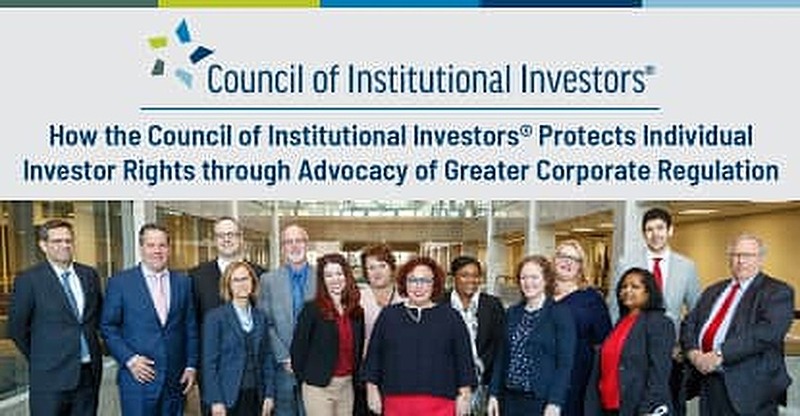 The Council of Institutional Investors (CII) is a nonprofit, nonpartisan group that has fought for corporate governance standards and practices since 1985. The Council has been successful in creating change in the ways corporations elect their directors and report important information to the public. CII’s membership includes some of the largest pension fund and money managers in the world, with nearly $25 trillion in combined assets under management. The Council’s goal is to keep the financial markets fair and transparent for everyone involved. Every day, millions of Americans go to work with the expectation that they will one day be able to retire. Most people put money aside into pensions and 401(k) plans every paycheck while hoping the funds will be enough to cover a comfortable post-work life. A group of public pension fund officials established the Council of Institutional Investors (CII) in 1985, guided by the belief that investors, the markets, and other stakeholders benefit when corporations provide robust oversight of management and when directors are accountable to their shareholders. Today, the Council boasts a membership that includes the largest money managers in the world — many of whom control a large portion of Americans’ retirement savings — and continues to work toward greater oversight of corporate governance. 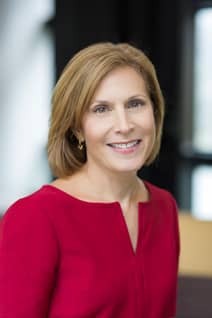 Amy Borrus is Deputy Director of the Council of Institutional Investors. “CII is a nonprofit, nonpartisan association that aims to be the voice for effective corporate governance standards and practices, strong shareholder rights, and fair and vibrant capital markets,” said Amy Borrus, Deputy Director of CII. In short, the Council aims to ensure that important shareholder information gets to the marketplace promptly and transparently, so that the markets remain a fair place for investors of any financial means. To achieve this goal, CII recruited an impressive list of board members, as well as associate members who do not have voting powers, but still have a say in important decision-making processes. Collectively, associate members have more than $20 trillion in assets under management. So, while CII fights for a more transparent corporate structure for investors, it is also fighting for individuals’ portfolios and retirement plans. The Council’s work has played a major role in creating change within the corporations that make up a majority of popular index funds. Borrus pointed to CII’s role in changing voting standards for corporate directors in uncontested elections as a key victory for the Council. Within a few years, 90% of S&P companies began electing their directors by majority vote. A growing number of small- and mid-cap sized companies now do the same. While CII’s associate members don’t hold voting rights, this powerful group of money management firms still has a say in the decisions the CII’s board makes. With nearly $25 trillion in combined assets under management, CII’s money manager members manage a large portion of Americans’ retirement and long-term savings. Despite the power that comes with such responsibility, Borrus stressed that the money managers are supposed to do what is best for their clients. Buying into these funds, which collect shares of multiple companies in similar sectors or across broad portions of the market, means the pension fund managers depend on the corporate structure behind the companies to remain fair and honest in their reports and business practices. The CII keeps its members informed on corporate governance and investment issues, as well as what’s happening in Washington regarding regulation and legislation through its newsletter, educational programs, webinars, and other programs. Borrus said that individual investors have a greater voice when they’re educated about the companies they invest in. Whether through a money manager or self-invested, she said that knowledge is the first step toward becoming a better investor. Borrus said the financial crisis of 2008 was an eye-opening experience for most investors, but without proper oversight, a similar dip in the markets isn’t out of the question.